AS SEEN IN COUNTRY SAMPLER! 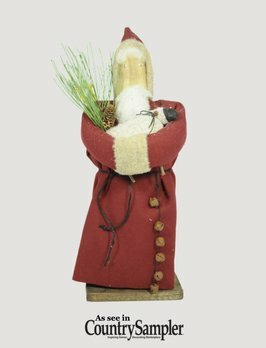 Bring a whimsical touch to your Holiday decor with the Primitive Red Wool Santa with Sheep! This Folk Art Santa is handmade with the finest fabrics in the USA. A beautiful touch for your country home!